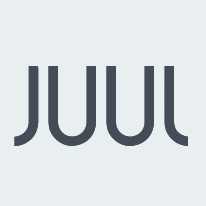 JUUL's mission is to improve the lives of the worlds one billion adult smokers by driving innovation to eliminate cigarettes. JUUL is the number one US-based independent e-cigarette, selling over four million JUULpods per month. Headquartered in San Francisco & backed by leading technology investors including Tiger Global, Fidelity Investments & Tao Invest, JUUL Labs is disrupting one of the worlds largest & oldest industries. Were looking for full-stack engineers who want to help us build the next generation of our e-commerce platform & create the very best customer experience. An ideal candidate is passionate about: product, technology; writing good, clean, maintainable code; fluid end user experiences; & building a dev-first oriented culture. You will improve architecture, performance & anything else you can think of to enhance the experience of our customers, employees & your day to day development environment.